Virginia Sen. Tim Kaine bested Republican challenger Corey Stewart on Tuesday, as Stewart’s close identification with President Donald Trump’s agenda failed to gain traction in Virginia, which has recently become solid blue in statewide races. Kaine, who had maintained a double-digit polling lead throughout the campaign, won with about 53 percent of the vote, compared to 45 percent for Stewart. 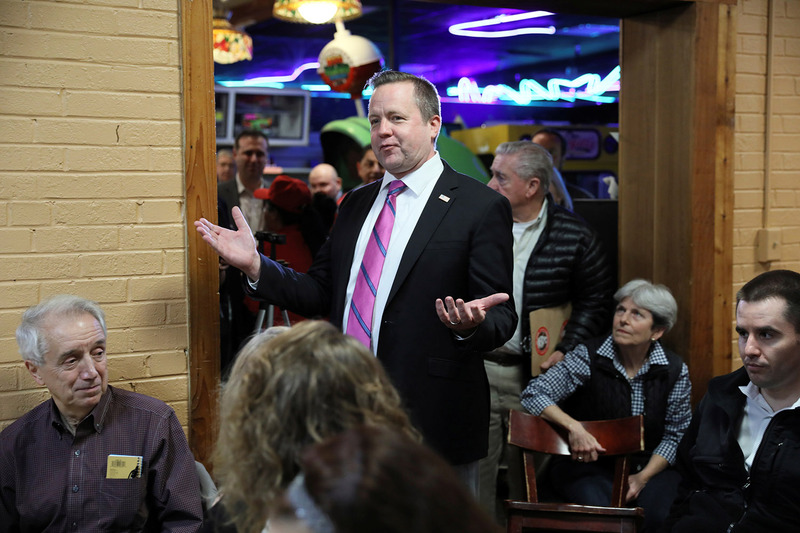 His strongest performance came in the northern Virginia suburbs of Washington, D.C.
Stewart had a strong showing in southern and western Virginia’s rural counties, which broke heavily for Trump in 2016. But it was not enough to overcome Kaine’s advantage in Northern Virginia, which has become hostile to Stewart’s brand of anti-establishment conservatism. Kaine was also buoyed by a massive fundraising advantage over Stewart, who had received Trump’s endorsement but was held at arm’s length by the Republican Party’s national senatorial committee. The incumbent raised more than $21 million, including $4.8 million over the closing months of the campaign, compared to Stewart’s total haul of just $2.4 million, The Washington Times reported Monday. In an ironic twist, Kaine found himself facing off against Stewart, a right-wing populist who billed himself as the Donald Trump of Virginia politics. Stewart eagerly adopted key planks of Trump’s platform, backing the president’s tax cuts and nationalist trade and immigration policies. It was a tough sales job in Virginia, which went for Clinton over Trump by a relatively comfortable five-point margin. Trump lost most of the state’s biggest counties by population — the collar counties near Washington, plus Richmond and Norfolk — in 2016, and that result was largely the same for Stewart this year. Kaine’s victory keeps both of Virginia’s Senate seats in Democratic hands for at least the next two years. Sen. Mark Warner is up for re-election in 2020.